5/5 rating based on 353 reviews. 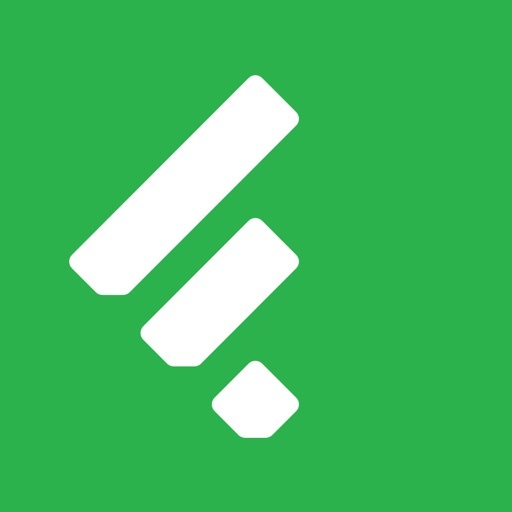 Read all reviews for Feedly - Smart News Reader for iPhone. Why can’t I read articles in the app anymore, with that handy “remove clutter” button? It pushes to a browser now. Maybe this is the lack of net neutrality kicking in, but multiple sites have become much less reliable and stable. Jalopnik, wired, and lifehacker among others. Slow to load, blinking out often and reloading, or freezing. I used Pulse before LinkedIn bought it and destroyed it, and I’m really grateful to have this app. Even though there’s other apps available for newsfeeds I still keep Feedly. Thank you and keep up the great work devs. Please add Firefox as a browser option for open in browser in menu. Well, I use this app every day and have since it replaced the original Google aggregator. It works as promised. Suddenly no thumbnails regardless of selected view. Everything is just List view. Where’s your support page? There are no push notifications and many articles aren’t displayed completely forcing one to visit the website directly. When I open an article or website in Feedly I’d love to be able to rotate the phone into landscape to view small text and photos. This feature used to be available for websites at least. Being able to rotate your phone to landscape is an essential part of using your phone, and it is an essential feature of Feedly that needs to be replaced. UPDATE: Feedly reached out to me today to tell me that they are working on fixing this issue, and that it will be incorporated into a future release. I will raise my review to 3 stars for now, and will raise it further when the new feature is available. please make a smooth scrolling. now very sharply. please!!!! Do you even test it? On iOS 10.3.2 my content does not fit in split or slide over views. So it makes the app not usable at all besides the fact that it's one of only few apps worth using like this. This issue is present for a VERY long time.